Deepavali, more popularly known as the Diwali festival or “festival of lights” is a five days long festival that commemorates the triumph of good over evil. This festival is celebrated every year during mid-October or mid-November in countries such as India, Nepal, Malaysia and Singapore in addition to countries with large Indian population such as Canada, Great Britain and New Zealand. Predominantly Hindu in nature, it is also celebrated by followers of Buddhism, Jainism and Sikhism. 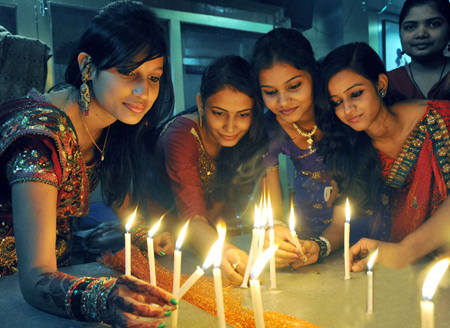 There are several ideas for Diwali activities and games during the festive season of Diwali. Yoovite.com gives you a golden opportunity with its amazing online invitation tool by which you can invite your friends and relatives while Diwali is on and celebrate prosperity and fraternity. Cleanliness according to old people is equivalent to Godliness. You should clean your house and business premises thoroughly before the first day of Diwali. Finish the laundry and remove any unwanted papers at both your home and office. You should draw small footprints using rice flour and vermillion powder to indicate the arrival of the Goddess Lakshmi. You should make the entrance to your home colorful using Rangoli designs, bells, flower garlands etc. to welcome the goddess. You can perform a “Lakshmi Pooja” which is a ritual to seek divine blessings of the Goddess of Wealth. Hire a priest and astrologer to find the auspicious time and perform the ritual in your house, preferably before the formal celebration starts. As mentioned before, light is the key ingredient of Diwali. In the evening, you should place small oil lamps called “diyas” around the home, turn all the lights on and burn some candles as well. The crackers and fireworks are the most interesting part since it is where your friends come in picture. Get as many varieties of fire crackers as possible but be careful and take sufficient precautions to avoid accidents. 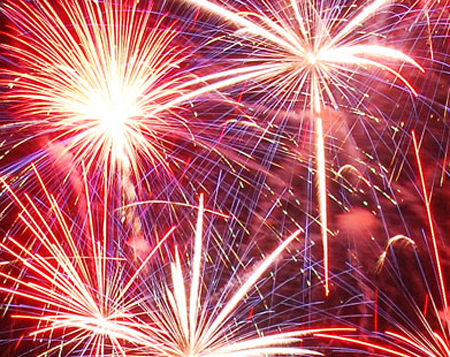 If you are using noisy crackers, keep your pets and small children indoors. Shopping for utensils, ornaments and garments is a major part of this celebration. You can get your friends and relatives join you in the shopping spree to make the festival a grand success. You should wear traditional attire during this festival and make sure that you buy for the entire family. 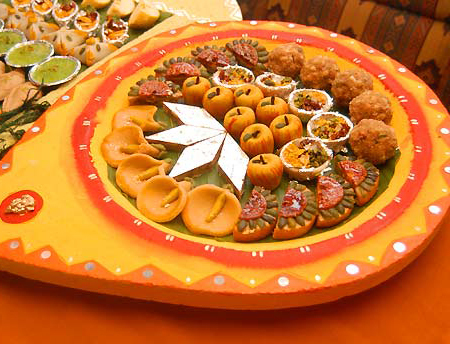 Sweets snacks and savories are another great aspect of this celebration. Barfi, kulfi, pongal, rasgulla, jalebi, gulab jamum etc are some of the sweets and desserts that you can serve and distribute among friends, colleagues and relatives. Diwali is a meatless holiday. Try sticking to pure vegetarian during this occasion. There aren’t any special set of dishes, so you can cook anything you want. Once your friends arrive, you can play games such as card games, Rummy, charades, pass the parcel, musical chairs, hide and seek, scavenger hunt etc. Give special care to your siblings during this day. Buy them special gifts and sweets.